Missoula might bring to mind vague memories of watching a ’90s movies about fly fishing. Or maybe you imagine wide-open skies and plenty of steakhouses. Maybe you just think about cowboys. And…sure. We’ve got all that. But whatever you think you know about Montana, Missoula has something to counter the stereotype. Here, you can bar hop between craft breweries, surf a wave in the middle of downtown, gobble vegan donuts, explore ghost towns, rent bikes for free, and finish it all off with a pint of Moose Drool. And that’s just the first day. 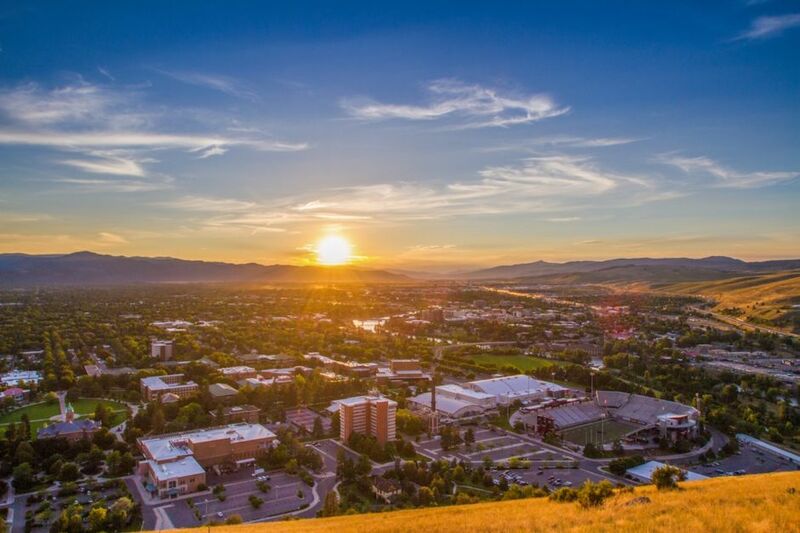 Here are nine ways a visit to Missoula will surprise you. 1. There are five mountain ranges here. This is a serious mountain town. 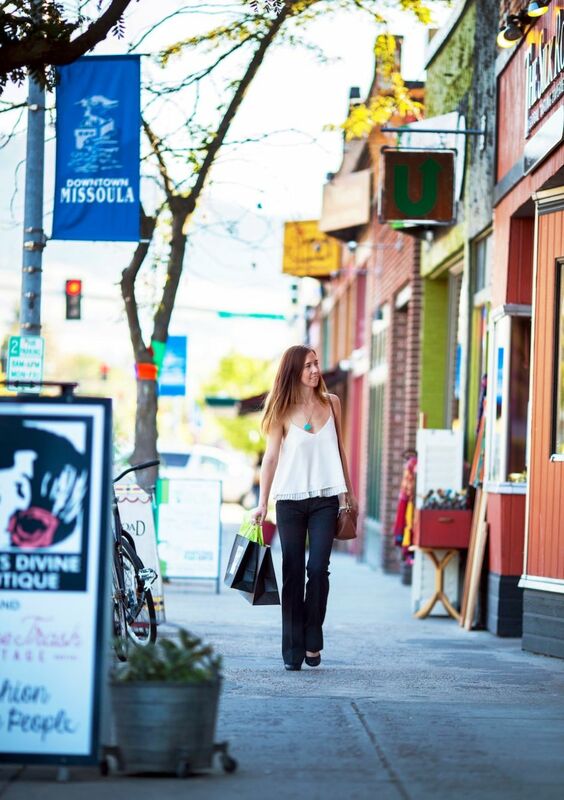 So serious that Travel + Leisure named it one of America’s favorite mountain towns. If we had to guess, we’d say it probably has something to do with the fact that Missoula is in the middle of five mountain ranges: the Sapphire Range, the Garnet Range, the Rattlesnake Mountains, the Reservation Divide, and the Bitterroot Mountains. That’s five mountain ranges to mountain bike in, to hike in, to horseback ride in, to drive though, to just sit in, or to listen to the birds and the breezes in. That also means there’s plenty of national forests, national wilderness areas, and other generally awesome places that are easy to access from Missoula. Pro tip: Head to the Rattlesnake National Recreation Area and Wilderness. The major trailhead here starts just over four miles from the city, and bam — you’re in the middle of more than 60,000 acres of wilderness. You’ll find 50 small creeks, more than two dozen alpine lakes, and enough waterfalls to keep your Instagram brimming. 2. There’s live music every night of the week. Montana has a reputation for country music, cowboy songs, and pioneer folk. And that’s all awesome. But you might find yourself surprised when you hear the sheer variety of tunes permeating the streets of Missoula. There’s no shortage of great venues here, and musicians range from world-famous bands to local artists playing their first gig. 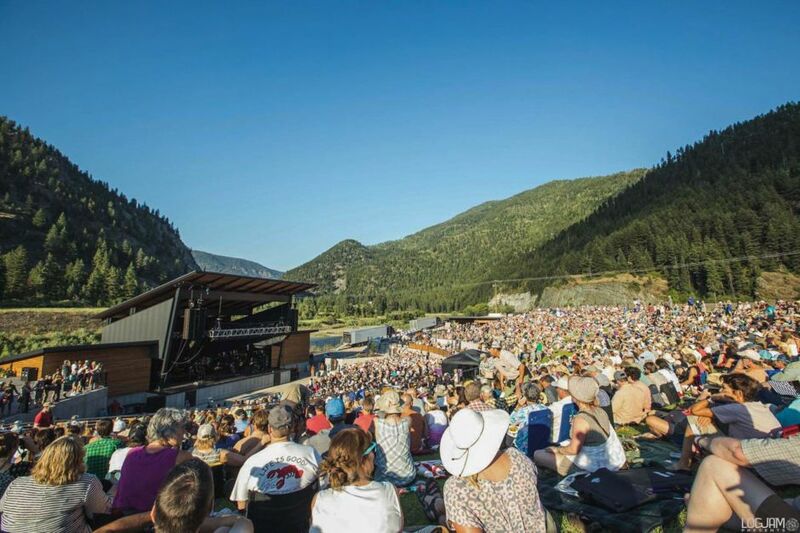 There are so many venues to choose from: Big Sky Brewing has it own outdoor amphitheater (hosting everyone from The Decemberists to The Shrednecks), where they hold a summer concert series with, of course, locally brewed beer. This is also where you can catch the awesome Travelers Rest Fest in August. Another beer-plus-music venture is the new outdoor KettleHouse Amphitheater, located next to the KettleHouse Brewery, on the banks of the Blackfoot River. Their summer lineup looks equally impressive. Built in 1921, The Wilma also brings in big bands — from Macklemore to Nickel Creek — but with red velvet curtains, plush seats, and amazing ornate ceilings to set the scene. And then there’s the Missoula Symphony Association, which has been knocking the socks off music connoisseurs for 60 years. Check out one of their regular-season concerts, or bring a picnic blanket for the huge (and free!) outdoor summer concert in August. No matter what you’re into, just head out on the town and follow your ears. 3. You can visit a legit ghost town. Back in the late 19th century, some 1,000 people lived in a thriving mountain town called Garnet, 30 miles outside Missoula. Not anymore. It didn’t take long for the gold that brought people flocking to the region by the hundreds to all but disappear, and by the 1940s, every business in Garnet was shuttered — including all 13 of the local saloons. 4. This is one of the country’s top bike-friendly cities. So you thought this was a mountain town where everyone drives 4x4s? Think again. Missoula is officially a gold level bike-friendly city. 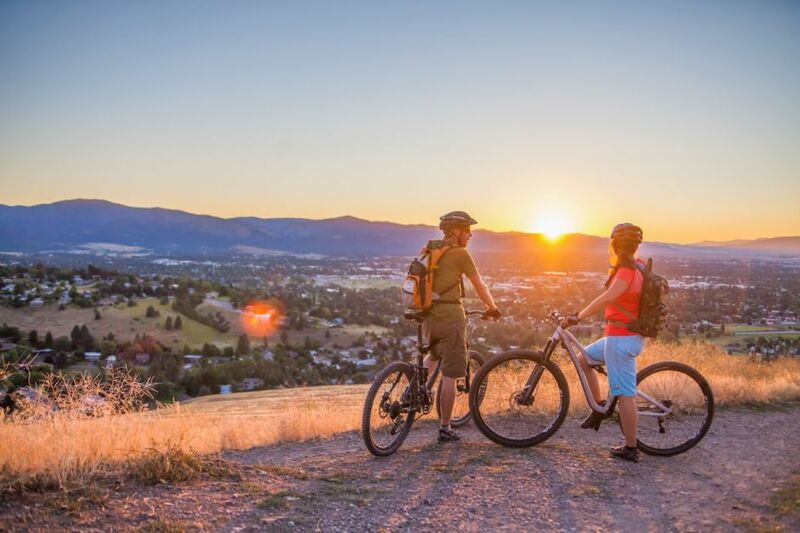 The cycling’s so good here that Missoula was named one of the top 10 biking cities in the country by Outside Magazine. And you can be a part of the two-wheeled fun too, of course. Missoula has more than 20 miles of bike routes, bike lanes, and bike trails. Or you can dream bigger and farther. Connecting Missoula with the tiny city of Hamilton is the Bitterroot Trail, a 50-mile paved bike path though the Bitterroot Mountains where you’ll ride side-by-side with rocky peaks, babbling brooks, and forested slopes. Yep, it’s idyllic. Pro tip: Plan a round trip to one of the tiny communities along the way, then pedal back to Missoula for a well-deserved Moose Drool, Bufflehead Brown, or Mountaintop Wet Hop (that’s Montanan for “beer”) at one of Missoula’s many craft breweries. Don’t have a bike? No worries. You can always rent one. And Missoula is so pro-bike that some spots loan out bikes for free or for a small donation. Yes, for free. 5. Missoula is surrounded by hot springs. Whether you want a first-class pool fed by steaming hot water, or a rocky spot to take a bath in a natural spring, Missoula is a short jaunt from both. Lolo Hot Springs has modern pools of 102- to 106-degree water, surrounded by towering ponderosa pines and forested mountains — and it’s less than an hour away. 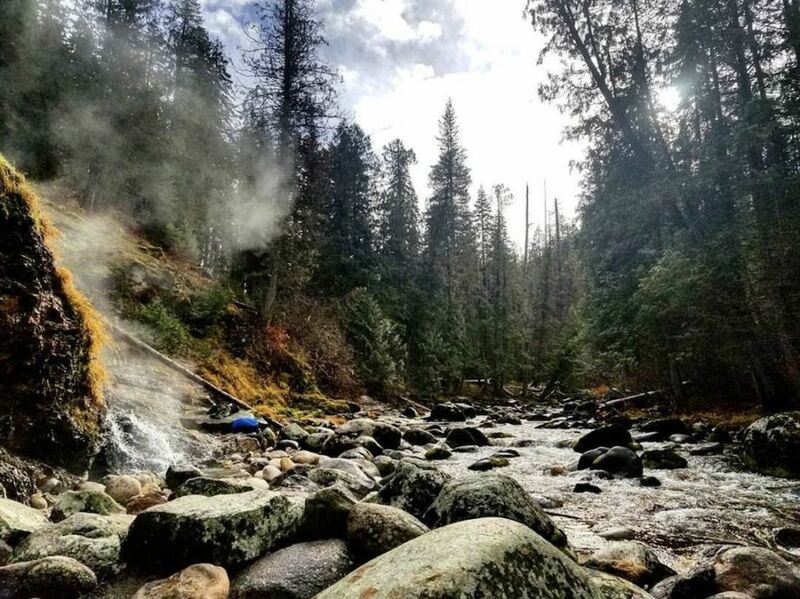 For an even more natural setting, you can head farther afield on Highway 12 to Jerry Johnson Hot Springs, an inconspicuous natural pool among boulders and logs that’s fed by a waterfall. Getting there will take you a little over an hour, making it the perfect day trip from Missoula. Note that it’s best to visit post-spring-runoff (so, summer through winter), and there’s an easy one-mile trail from the parking area. Soak up, snap some photos, then head back to town for a cosmopolitan meal. 6. 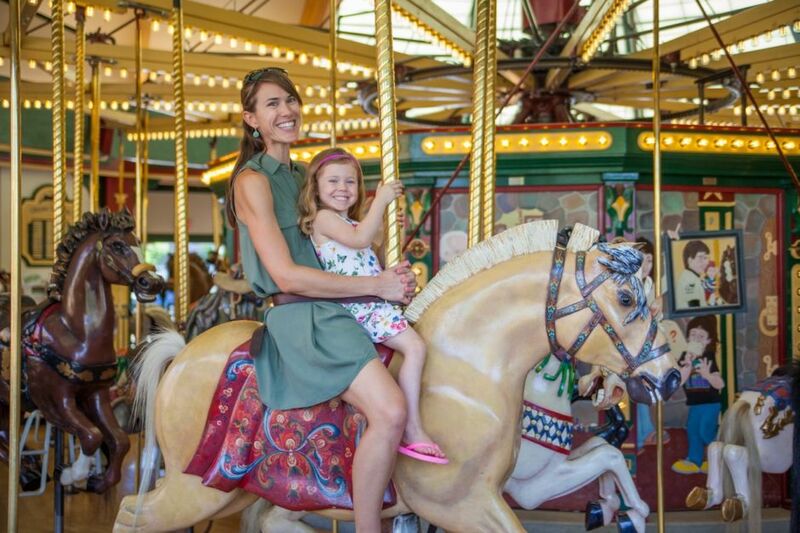 You can ride a hand-carved carousel. You could call it good, ol’ fashioned fun. Next to Dragon Hollow Playground — magical in its own right — and overlooking the Clark Fork River, you’ll find 38 horses dancing in perpetuity. Freya, Columbia Bell, Hard Hat, Koko — they’re all hand-carved wooden ponies that are part of A Carousel for Missoula. 7. It’s a vegetarian paradise in the middle of beef country. There are 2.6 million cattle in Montana, which means no shortage of t-bones, ribeyes, BBQs, and babybacks. But this is ranch country, so you probably knew all that already. Missoula, however, doesn’t just cater to those looking for tenderloin. 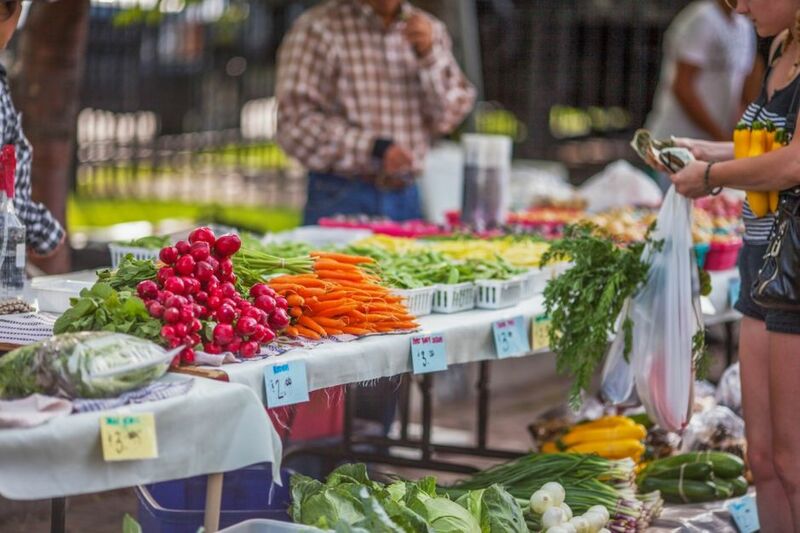 Probably in part because it’s a college town, this is also an awesome destination for the foodies in your life that are vegan/vegetarian/gluten-free/any other dietary restriction you can dream of. Whether you’re looking for vegan options or gluten-friendly, you’ll find it here. And there’s a decent chance it’ll be next door to a rockin’ steakhouse. Wander between the south end of the Higgins Street Bridge and the intersection of Brooks and Higgins, and you’re on the Hip Strip. Not only are there all-around good vibes here, but you’ll soon find that the businesses are 100% locally owned — and they’re just as quirky and varied as Missoulans themselves. Flip through records at Rockin Rudys Record Heaven, browse the 7,500 types of beads (and related things!) at Bathing Beauties Beads, take a deep breath of essential oils at Meadowsweet Herbs, or check out the gleanings of a pair of self-described “fearless treasure hunters” at Divine Trash Vintage. When you’re sufficiently exhausted, head down the street to Bernice’s Bakery for some white-chocolate huckleberry cream pie and an organic espresso. You’re welcome. 9. A river really does run through it. You know the movie. It’s the one starring Brad Pitt; it won an Oscar. Anyone who’s seen A River Runs Through It, the story of two brothers growing up in Missoula, has probably entertained a fantasy of giving it all up and going fly fishing. At least for a little while. And that fantasy can come true, if you so desire. The city sits at the confluence of three rivers: the Blackfoot, the Clark Fork, and the Bitterroot. The abundance of flowing water in the area means you can fish from the banks of the Clark Fork River in downtown or head out of town with a guide to explore the streams of the Bitterroot Mountains, or anything in between. You don’t have to fish to enjoy the river, though — a stroll on the Riverfront Walking Trail is pretty much the perfect way to spend the twilight hours walking off all those vegan chocolate ganache donuts. Time it right and you’ll find some live music, or bring a picnic and watch the sun drop behind the surrounding hills. The options don’t end there. 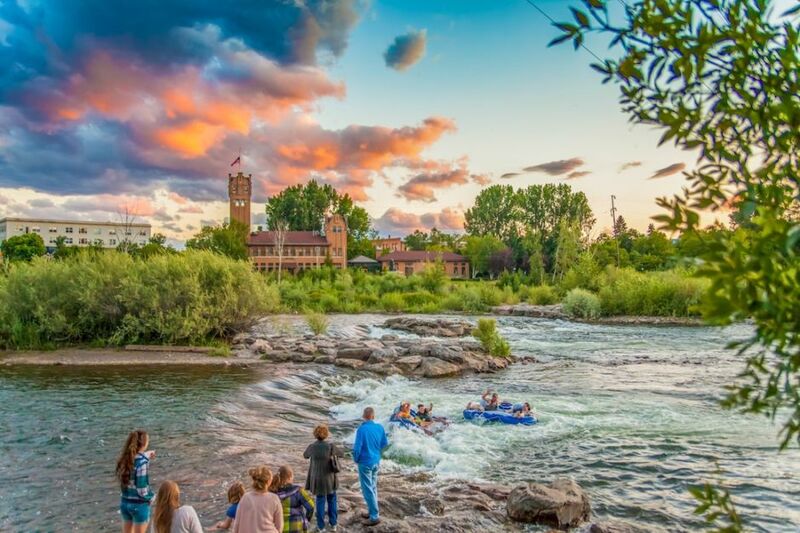 You can also SUP, kayak, and play in the whitewater…all in the middle of downtown Missoula. Oh, and you can surf right downtown, too. Surfing in the middle of Montana — surprising? Maybe. Awesome? Definitely.